Because Weather Tight is a family-owned and -operated company, you can trust that you’re receiving service from industry professionals that truly care about your West Bend home. We are proud to serve nine counties throughout Southeastern Wisconsin ensuring that residents in the Greater Milwaukee area are always taken care of. We’ve satisfied over 25,000 customers since our start in 1986—that’s over 30 years of exceptional service. Read through our testimonials to see what customers have to say about our service. We are licensed, bonded, and insured, and are happy to offer free in-home, no-obligation consultations and price quotes. There is never any pressure when you work with us. We only replace or install what needs to be—and never recommend any unnecessary service. Our product installations are guaranteed against defects, and we’ll even take care of your warranty paperwork for you! We are a one-stop shop for all of your remodeling needs, and we perform every job with care, from start to finish. Great service and a great installation crew. All work completed ahead of schedule. The install team was able to accommodate and make recommendations about the fit and alignment of the windows in relation to some cabinetry and exterior positioning. A pleasure to watch them perform their jobs with precision and skill. Looking to have new windows installed in your West Bend home? We can help! We specialize in home remodeling solutions and would be happy to help you select windows. We have everything from garden and sliding to double hung, full-frame, casement, and bow and bay windows. We’ll take you around our showroom and explain what the different options are and how you can customize them. Customization options include glass and frame color, grid, casing, and more! Even if you only need to install or replace a window or two, we can make sure the new ones match your existing windows and home. Your needs will always be met at Weather Tight—give us a call at 414-459-3874 or contact us online to get started. If you feel drafts coming in around your front or back door, it’s probably time to have a new door installed. We are proud to be Therma-Tru Certified which means our team has completed a rigorous installation training program. You can trust that our front entry door, back patio door, and garage fire door installations are top-notch. Let us explain how we can customize your doors, too! You’re going to enjoy the selection process. While we’re at it, did you know that new siding can actually make your home more energy efficient? New siding, plus our weather tight installations, keep weather out and allow your home comfort systems to operate more efficiently. When cold or hot breezes leak in, your furnace or air conditioner has to run more often to keep up which is never a good thing. 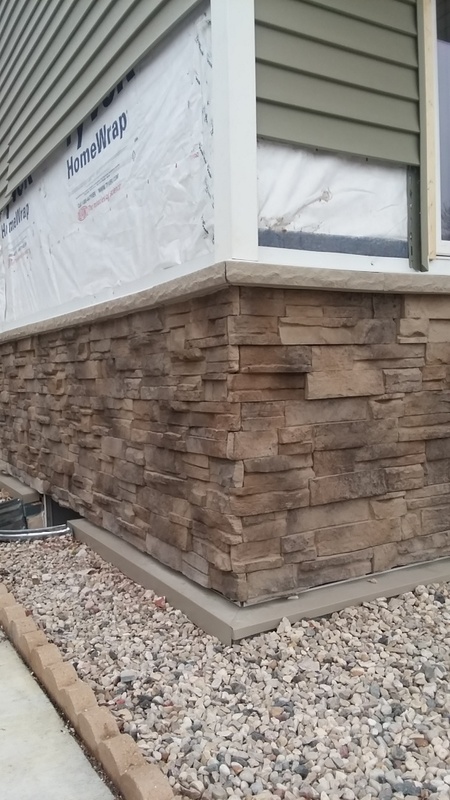 Ask about our siding options including vinyl siding, engineered wood siding, and shakes and scallops to have your West Bend home looking great in no time! Gutters protect your home by moving water off and away from your West Bend home. When they become clogged, water has nowhere to go which can cause serious damage. Let us recommend new gutters, gutter protection, and soffit and fascia when we see fit to make sure your home is protected. Especially if you’ve recently had a new roof installed. Your new metal or asphalt shingle roof can experience damage as a result of clogged or aged gutters—water gets trapped on your roof and damages almost every area it touches. We can perform a thorough professional inspection and let you know what we find. Hopefully we won’t find any serious issues, but if we do, we will recommend solutions to keep your West Bend home safe from water and mold. When you are visiting West Bend, you’re most likely going to need more than one day. We recommend taking at least a long weekend to experience all that West Bend has to offer. Check out Shalom Wildlife where you can walk along beautiful trails and see wildlife in a more natural setting instead of a zoo. Then go to the Museum of Wisconsin Art to appreciate beautiful art created by artists with a Wisconsin connection. It’s a great way to acknowledge local talent. If art isn’t your cup of tea, you can always spend the day shopping in downtown West Bend. Then grab a bite to eat at The Braising Pan or Riverside Brewery & Restaurant. We’re sure you’ll love spending time in West Bend—we sure enjoy remodeling the residents’ homes. 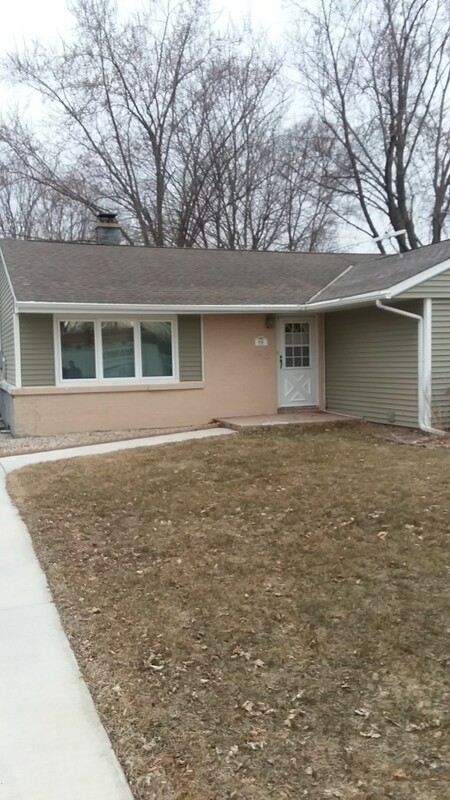 Thinking about remodeling your West Bend home? Come and tour our showroom to see some options you can select for your home. Drive west on West Washington Street for 1.2 miles and then turn left to merge onto US-45 South. Continue for 31.3 miles before continuing onto I-894 East/US-45 South for another 2.3 miles. Take Exit 2B for Oklahoma Avenue and then turn right onto Milwaukee NN/West Oklahoma Avenue. Welcome to our showroom!